Paris : The Board of Directors met today and paid homage to Chairman and CEO Christophe de Margerie, who died tragically in an airplane accident in Moscow on the night of October 20-21, 2014. After joining the Group in 1974, Christophe de Margerie was appointed to the Executive Committee in 1999, then named CEO of Total on February 14, 2007, and Chairman and CEO on May 21, 2010. He dedicated his brilliant career to the development of the Group, enabling its glowing success in the oil and gas sector and more recently in solar energy. The exceptional human and professional qualities that Christophe de Margerie exhibited during his time at Total were largely responsible for the success of the Group. It named Thierry Desmarest Chairman of the Board of Directors. Mr. Desmarest is currently a member of the Board and Honorary Chairman of the Board. It named Patrick Pouyanné Chief Executive Officer and President of the Executive Committee. Until today, he was President of Refining & Chemicals and a member of the Executive Committee. After holding several important executive positions in the Upstream segment in France and internationally over the past fourteen years, Patrick Pouyanné successfully managed the transformation of the Refining & Chemicals segment. Thierry Desmarest’s role as Chairman of the Board of Directors will conclude at the end of 2015 in accordance with the age limits stipulated in the Group’s bylaws. The positions of Chairman of the Board of Directors and Chief Executive Officer will then be recombined. Following the designation by the Central Works Council of a Board member to represent employee shareholders, which is scheduled for November 4, 2014, the Group’s Board of Directors will consist of fourteen members, including one employee shareholder representative. A graduate of the École Polytechnique and an Engineer of the French Corps des Mines, Mr. Desmarest served as Director of Mines and Geology in New Caledonia, then as technical advisor at the Offices of the Minister of Industry and the Minister of Economy. He joined TOTAL in 1981, where he held various management positions, then served as President of Exploration & Production until 1995. He served as Chairman and Chief Executive Officer of Total from May 1995 until February 2007, and then as Chairman of the Board of Total until May 21, 2010. He was appointed Honorary Chairman and remains a director of Total and Chairman of the Total Foundation. Director of TOTAL S.A. since 1995. Last renewal: May 17, 2013 until 2016. Compensation Committee and the Strategic Committee. The Honorary Chairman performs representation missions of the Group at a high level in accordance with the decision of the Board of Directors on May 21, 2010. A graduate of École Polytechnique and an Engineer of the French Corps des Mines. From 1989 to 1996, he held various positions in the French Industry Ministry and in ministerial offices, including Environment and Industry Technical Advisor to the Prime Minister from 1993 to 1995 and Chief of Staff to the Information Technology and Space Minister from 1995 to 1996. He joined Total in January 1997, as Chief Administrative Officer of Total E&P Angola and became Group Representative in Qatar and CEO of Total E&P Qatar in 1999. In August 2002, he was named Senior Vice President, Finance, Economics and Information Systems in Exploration & Production. In January 2006, he became Senior Vice President, Strategy, Business Development and R&D in Exploration & Production. Patrick Pouyanné has been a member of Total’s Management Committee since May 2006. In March 2011, he was appointed Senior Vice President, Chemicals and Senior Vice President, Petrochemicals. 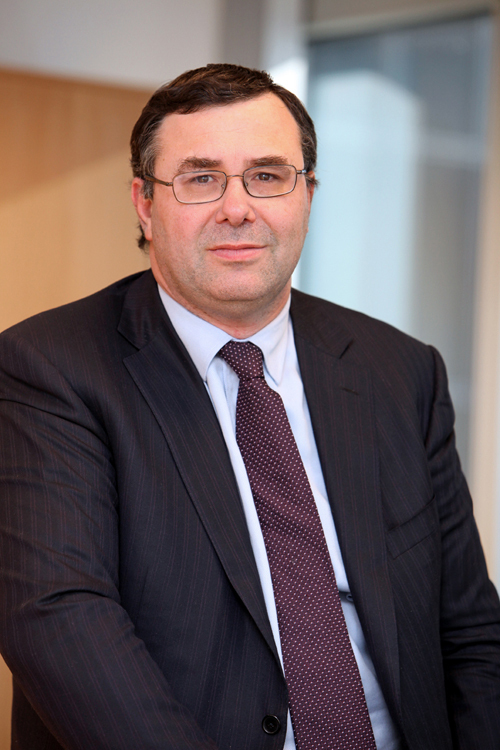 In January 2012, Patrick Pouyanné was appointed President, Refining & Chemicals and member of the Executive Committee.